When the West Fertilizer ammonium nitrate warehouse north of Waco, Texas caught fire and then blew up on April 17, 2013, killing 15 and injuring 160, much was made of the lack of inspections at the site and of the largely unregulated status of ammonium nitrate fertilizer. The site had been inspected, although not often. OSHA inspected the site in 1985 and fined it $30 for violations related to its anhydrous ammonia storage. The Texas Commission on Environmental Quality cited it for violations related to its anhydrous ammonia storage in 2006. The same year, the EPA fined West Fertilizer $2,300 for failing to file a Risk Management Plan, which the EPA required because West Fertilizer stored anhydrous ammonia at the site. Then, in 2012, the U.S. Department of Transportation, though its Pipeline and Hazardous Material Safety Administration, fined the company $5,200 for violations related to its storage of anhydrous ammonia. All previous citations were related to anhydrous ammonia storage, with the total in fines from federal agencies of $7,530. The anhydrous ammonia storage tanks were intact after the explosion. OSHA just announced a new Regional Emphasis Program (REP) to address anhydrous ammonia and ammonium nitrate, both of which are used as fertilizer in American agriculture. The regional program will impact seven states and began on October 1. 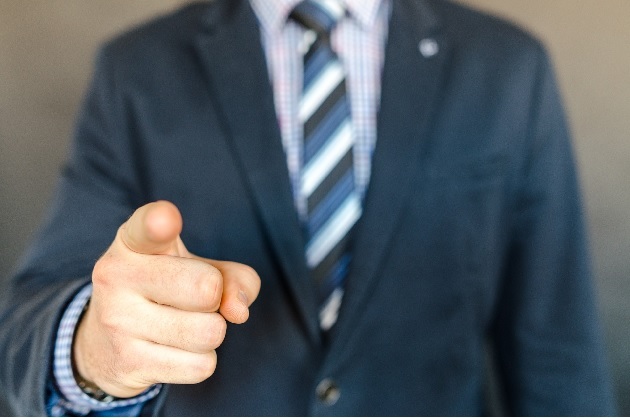 All of the states in OSHA region VI, except New Mexico, which has a state OSHA plan, and all of the states in OSHA region VII, except Iowa, which also has a state OSHA plan, comprise the region impacted by the new REP. Specifically, the seven states are Arkansas, Kansas, Louisiana, Missouri, Nebraska, Oklahoma, and Texas. The REP began on October 1. For the first 90 days, the two OSHA regions are planning on an outreach program to remind facilities with anhydrous ammonia or ammonium nitrate of their responsibilities under OSHA regulations. During this 3-month period of outreach, enforcement will be based only on complaints from employees, referrals from other agencies, or hospitalizations or fatalities. Beginning January 1, 2019, enforcement under the REP will begin in earnest. The program is scheduled to go until September 30, 2019. The REP is aimed at fertilizer storage, mixing and blending of fertilizer, and distribution. It will focus on enforcement of existing OSHA regulations. Anhydrous ammonia is one of the chemicals listed by OSHA in the Process Safety Management Standard (29 CFR 1910.119) and by the EPA in the Risk Management Planning Rule (40 CFR 68). Both regulations use the threshold quantity of 10,000 pounds. The Risk Management Planning Rule (RMP), however, exempts “ammonia used as an agricultural nutrient, when held by farmers.” The exemption does not extend to mixing and blending operations, distribution, or warehousing by agricultural supply companies. This REP is not a EPA initiative, however, but an OSHA program. OSHA has no “agricultural nutrient” exemption. In addition to the Process Safety Management Standard (PSM), there is another OSHA regulation for anhydrous ammonia. 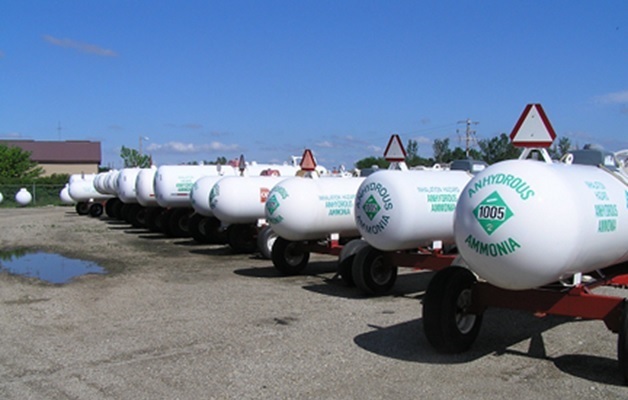 The Anhydrous Ammonia Standard (29 CFR 1910.111) addresses the storage and handling of anhydrous ammonia. There is no threshold quantity in the Anhydrous Ammonia Standard. The standard, however, does not apply to ammonia manufacturing plants or refrigeration plants where ammonia is used solely as a refrigerant. But Does OSHA Regulate Ammonium Nitrate? Neither PSM nor RMP list ammonium nitrate. Therefore, ammonium nitrate is not covered under RMP. Because ammonium nitrate is not a flammable gas or liquid, it is not covered under PSM either. And because ammonium nitrate is not a Class A, Class B, or Class C explosive, or a pyrotechnic, it is not covered under PSM as an explosive. So, whether used as an explosive or blasting agent, or for anything else, the Explosive Standard applies to the storage of ammonium nitrate. Unlike the Anhydrous Ammonia Standard, however, there is a threshold quantity. 29 CFR 1910.109(i) only applies to “buildings, premises, or structures” storing quantities of 1,000 pounds or more. Right now, the REP is only for those states in OSHA Region VI and Region VII that are not state plan states. They include only three of the top 10 agriculture states in the U.S. If the history of the PSM National Emphasis Programs is any indication, the Ammonia REP will start out regionally, and if successful in identifying problems, grow into a National Emphasis Program. Then it will expand the list of industries addressed and also become a long-standing program. The expiration date of September 30 is not a promise, just the current plan. If you use or store anhydrous ammonia or ammonium nitrate and are not exempted from 1910.109(i) or 1910.111, you should make sure you are complying. That means getting copies of the regulations, reading and understanding them, and doing the things required. When you read something and think to yourself, “They can’t mean…,” rest assured, that is exactly what they mean. No one argues that anhydrous ammonia or ammonium nitrate are harmless. They are unambiguously hazardous materials and deserve to be treated with care. OSHA has spelled out its expectations. Now, they have declared their intention to enforce those expectations. Expect a visit.